Just a quick one tonight. I've got many things coming but this will have to do for now. 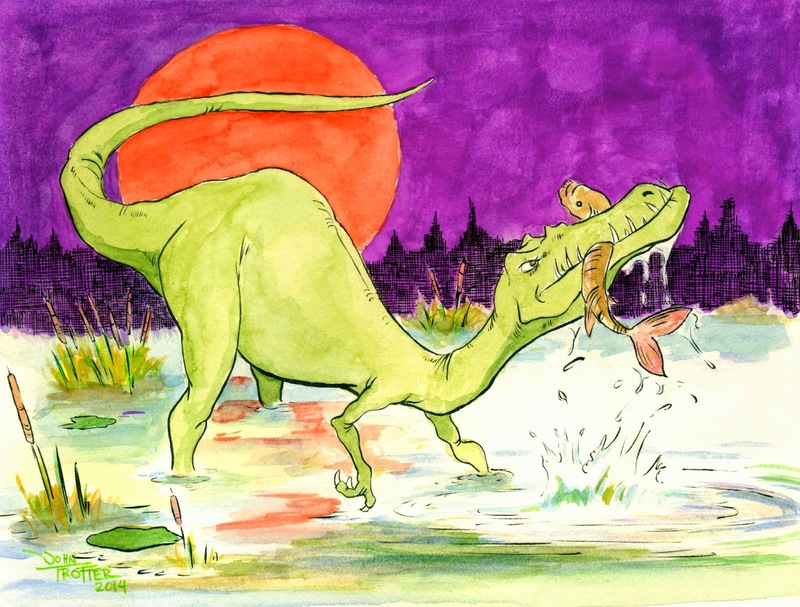 My latest submission to Prehistoric Times. Baryonyx is the dinosaur. I call this "Morning Fishing".